All your life, you have been told to "stand up straight...watch your posture." 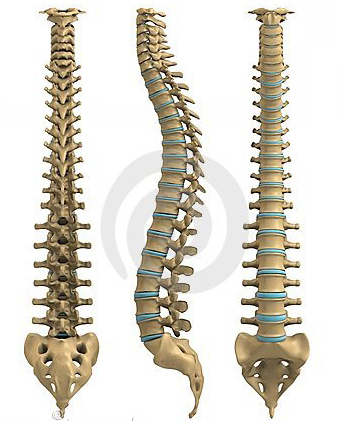 When looking at your spine from a rear view - your spine should be perfectly straight, with each of the 24 spinal bones stacked precisely on top of each other (see image to the right). Looking at the spine from the side your spine should see three curves, each having a 63 degree arc. It's been observed in nature, engineering, physics and geometry that a 63 degree arc offers the strongest defence against the destructive forces of gravity and motion. Is Your Posture Damaging Your Health?